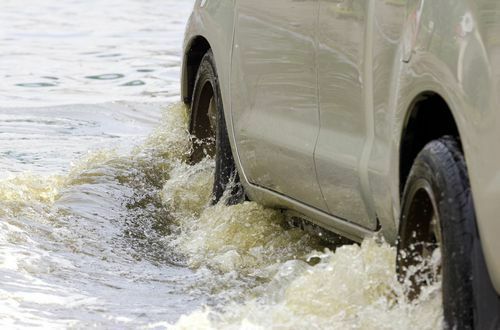 Alabama’s Rainiest City Cleaning Up After Flooding | The Voss Law Firm, P.C. A brief storm on Sunday, September 27, dropped a shocking amount of rain on Mobile, Alabama and the surrounding areas. Alabama.com reported that up to nine inches of rain fell in some areas overnight, which caused damaging flooding around the region. The University of South Alabama in Mobile was very seriously affected by the rising waters. Some parking lots and other area on campus were under water. Pictures from social media show water engulfing parked cars and filling flat areas. A spokesman from the university said that some rooms on the first floor of the Epsilon II residence halls took water damage in the flooding. A sinkhole on the campus also expanded further in the heavy rains. Students were advised to be extremely cautious and avoid flooded areas while on campus. However, the University wasn’t the only place affected by the unexpected deluge. The heavy rains took a toll on many parts of in Mobile and Baldwin Counties. “Visible waves” of water flooded Airport Boulevard, near the Interstate 65 interchange. It was one of several areas in the city of Mobile that became impassable to traffic. Many neighborhoods and parking lots were filled with water from the rains, and cars across the region were submerged or damaged. Many people woke up to wet basements and floors, and residents in parts of the Yester Oaks apartment complex reported water in their townhomes after the storm. Mobile Fire Rescue responded to numerous flood-related wrecks and performed several water rescues. Unfortunately, though, the wet season isn’t over yet. According to predictions, Alabama could see more severe storms in October. According to a study by WeatherBill of the top 10 rainiest cities in the United States, Mobile takes the top spot. Beating out both Seattle and Portland in rainfall averages, the city receives about five feet of rain each year. In fact, cities in the southeast part of the U.S. were generally wetter than the Pacific Northwest. Seattle ranked at number 41 on the list. Whether you’re used to severe weather in your area or were hit by an unusual storm, talking to the insurance company is usually the next step. Are you dreading filing the necessary property insurance claims after this summer’s storms? Get informed about the insurance industry and your rights as a policyholder with one of our free offers—or call us directly at 1-888-614-7730 for immediate assistance with a difficult claim. Who Pays for Flood Damage to a Condo?